You’ve done a wonderful job! I honestly do not know if such a demanding and dangerous solution has ever been done in history as in this case. Praise to the cave diver rescuers, all other support, external teams and all others involved. 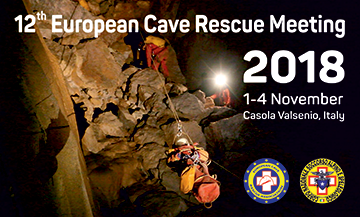 Of course, also thanks to all the other cave rescue divers, which have offered their assistance and were ready to help. It is certainly a pleasure to hear you have successfully resolved the situation yourself under such challenging conditions and that all the boys and the coach are safe. In case of complications, that would require extra help, the boys would have needed to spend a longer time in the cave leading to even more challenging rescue action. I can not express my gratification of such a successful outcome and at the same time express my regrets for the tragic loss of Saman Gunan, a rescuer and cave diver, who sacrificed the most to help rescuing the team. Hereby I would like to express my condolences to his family and his loved ones and at the same time thank him for his sacrifice and selfless work. I hope that we will all learn from this case and link emergency responds more strongly in-between countries, so that we all can perform such missions successfully and achieve maximum results. Once again, thank you and congratulations for the successful rescue to all those involved.